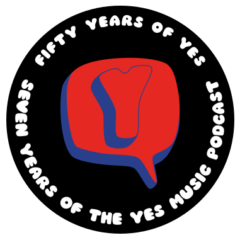 The thirty-ninth episode of the Yes Music Podcast featuring the results of the 1st Yes Music Podcast Quiz. In a change to the normal format of episodes, here are the answers to the questions in the quiz, some of the more interesting answers and the announcement of the winner! I also take a few moments to talk about the aspects of the podcast I usually skip through. Thanks so much to everyone who either enjoyed reading the questions in the quiz or actually entered. It was a lot of fun watching the answers coming in. You Had a great quiz Totally enjoyed and boy do I feel dumb Mike Dunne I used to stare at that album oh well.The only special album I ever had from Yes was a Blue Vinyl 78 speed of Parallels and Wonderous Stories It was the coolest thing I ever had and when CD;s came out well all my Vinyl went to my younger Brothers and me like a damm fool I could shoot myself for doing that but Now I look for Master Recordings on CD really enjoy the old Analog sound.Again Kevin you deserve a tremendous Bravo for all your hard work and dedication to this Pod Cast . So near and yet so far! You almost made it! That blue vinyl sounds great. Never mind, at least you can still hear everything Yes ever released.